Have you heard of Ipsy? It's a 10.00 a month subscription box that comes right to your door full of at least four sample size products and one full size products. That ten dollars gives you not only a chance to try to things but also supplies you with a cute new make up bag each month. My July Ipsy bag did not disappoint! It's been three great months of products in a row. This month was no different. This month's bag was called Sensationally Sun kissed. 1. 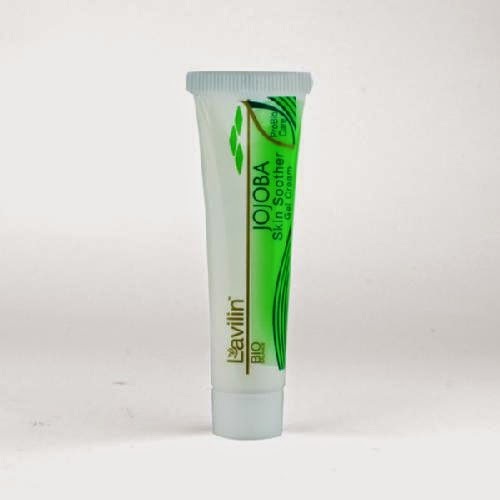 Jojoba Gel Cream by Lavilin. This stuff is a gel that you use on your face for when you've been doing extreme outdoor activities. It's suppose to hydrate your skin and it's fabulous. It doesn't have a weird smell and it doesn't leave your skin oily. I'm loving it for the summer months. 2. Dark Tanning Oil SPF 8 by Hang Ten. I'm all about getting my tan on. Now this stuff helps speed up that process faster while protecting you from SPFs. It comes out in a fine spray and works just as well if not better than other greats like Australian Gold and Banana Boat. It doesn't have a weird smell so that's a major plus. 3. 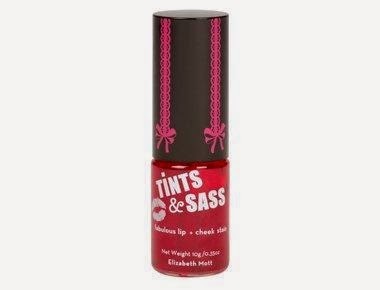 Tints ad Sass in Cherry by Elizabeth Mott. This is the one product I was a little disappointed in. I'm not a big fan of anything that goes on my lips because their sensitive and break out easily. I also didn't love the color that I got. It's really bright and not something that I would ever wear. I'll probably gift this full size product to someone who really wants it. 4. They're real! Beyond Mascara by Benefit. Now here's a product I absolutely love. I've bought this mascara before and it lasts forever. 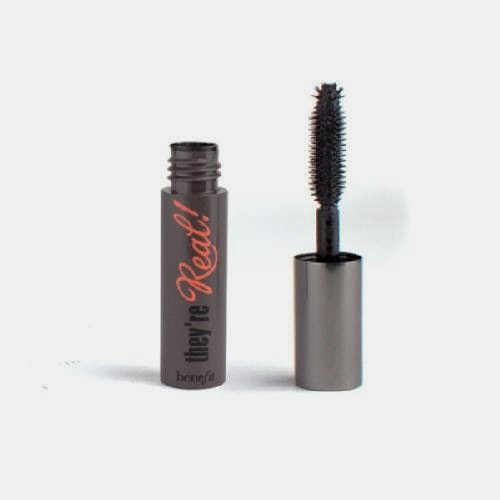 It goes on lashes smooth, doesn't cake on and doesn't flake off after wearing it a few hours. I got a trial size in my bag but it lasts a really long time. I'd say at least 3 weeks using it daily. It makes me want to buy another full size again. Maybe once mine runs out! 5. 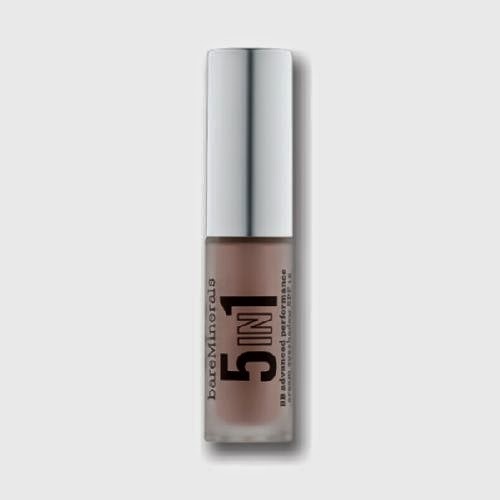 5-in-1 BB Advanced Performance Cream Eyeshadow in Divine Wine by Bare Minerals. I would say my biggest guilty pleasure when it comes to make up is buying eye shadow. So when Ipsy sent me a cream eye shadow I was intrigued. I mainly use powder eye shadows and every now and then I'll use the stick eye shadows or a pod cream. This Bare Minerals cream eye shadow comes with an applicator almost like a lip gloss. One quick stroke and you've got your eye shadow applied and starting to dry. I loved the product and I'm going to look for it in stores. I wasn't a big fan of the color I got but I can probably use it as a base or mix it with something. So what are you waiting for? Try out Ipsy and I promise you won't be disappointed. 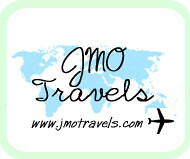 They'll send you great products and maybe even some of your favorites. They'll listen to your input so items you don't like... they won't send them again! 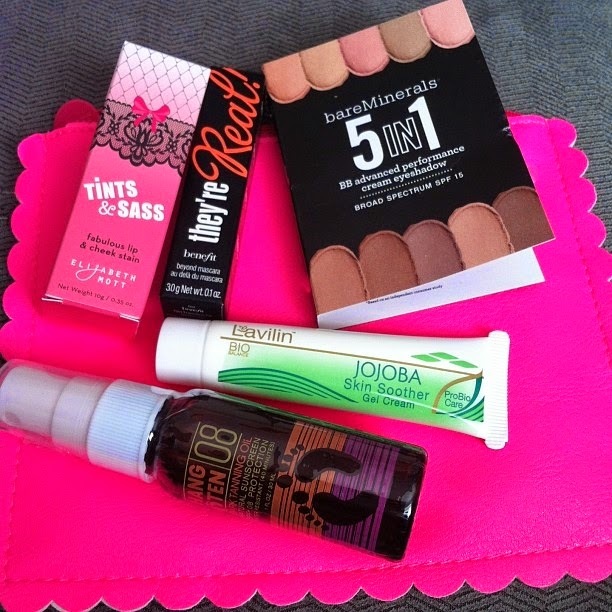 Oooh that's a good month for Ipsy! I stopped it awhile back.. 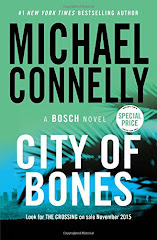 I would have loved this one! I'm actually major jealous that you got Tints and Sass! And have you tried the dark tanning oil? It's AMAZING.